So the USAF X-37B has returned to Earth after a mission lasting nearly two years! (22 months). The USAF is keeping pretty tight about what information they release, but have said it's use is for "reusable space vehicle technologies". They have also kept the cost of the program classified. The Atlas 5 rocket carrying the X-37B reached mach 1 after around 83 seconds from launch in May 2015.The Atlas 5 rocket was built by the United Launch Alliance, a partnership between Lockhead Martin Corp (LMT.N) and Boeing Co (BA.N). From what i've read up about this space craft is that the technology being used is for information based gathering. There has been speculation that the aircraft could be used for weaponry based tech or looking down on Earth, but of course that's just speculation. 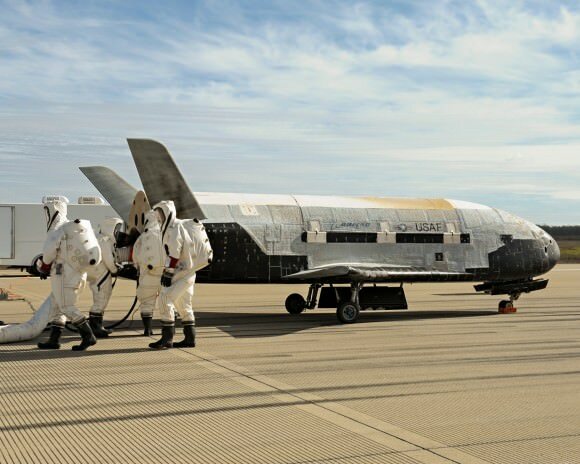 The Air Force has said that they intend to launch another X-37B from Cape Canaveral later this year.